FRIGID New York at Horse Trade is an open and uncensored theatre festival that gives artists an opportunity to let their ingenuity thrive in a venue that values freedom of expression and artistic determination. In true support of Indie Theater Community, 100% of box office proceeds will go directly to the artists whose work is being presented. FRIGID’s mission it to chill out the New York independent theatre scene’s ideas of what a theatre festival can be. Horse Trade Theatre Group produces festivals year-around throughout New York City including the FRIGID Festival, Burlesque Blitz, The Fire This Time, politiKos, Queerly Festival, Gotham Storytelling Festival, HT Encores, and STEM Fest. The annual FRIGID Festival, the first festival of its kind in New York City, is a winter Fringe festival and is an entirely open and uncensored Indie theater festival, in which the artists keep 100% of their earnings. They also offer a monthly music festival where emerging and renowned musicians of all genres participate. Many of the performers who are eager to be part of this series and help kick start it are specifically customizing their shows and designing performances just for this series. Applications are submitted between September and October 31st and are chosen either by being the first submitted or by lottery. There is a $800-$1100 fee for a five performance run, and a $35 entry fee. FRIGID provides the theater, a technician, and basic publicity. Artists keep all box office proceeds; tickets can not be more than $20. More details on the website. The Fire This Time Festival at Horse Trade was founded by playwright Kelley Nicole Girod to provide rising playwrights of African and African American descent a platform to write and develop new work. The Fire This Time Festival has evolved into an annual January event and continues to grow, expanding upon its core short play presentations to offer panel discussions, staged readings, a playwright’s lab and other programs. The Festival has become a destination for diverse audiences, producers, and artists seeking new possibilities and opportunities in contemporary theater. At this time, playwrights are chosen by invitation from The Fire This Time Festival staff. 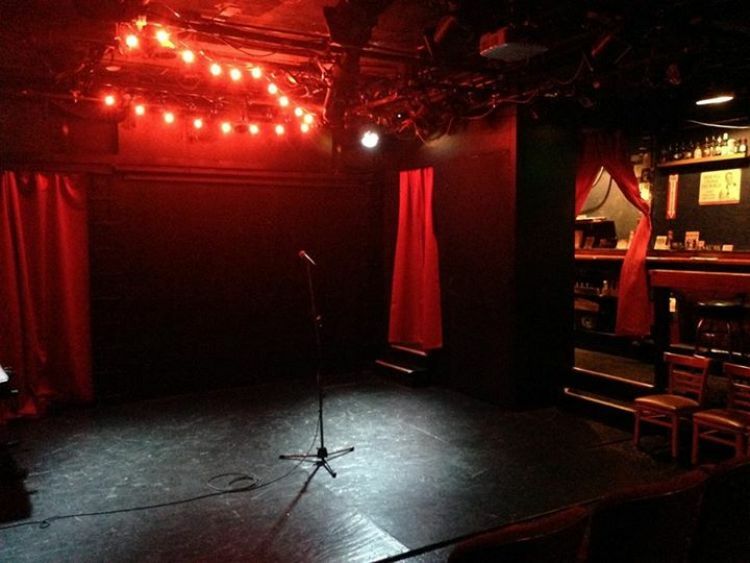 FRIGID offers two performance space venues, The Kraine Theater and Under St. Marks (please check the websites for all specifics.) Rates between theaters are based on time, length of the event, and day of the week. Both are used for performance and rehearsal space. Rehearsal space is booked on a first come, first serve basis. Rehearsal must be canceled twenty-four hours in advance. Rehearsal bookings are subject to cancellation due to an evening performance in one of the theaters. If you are interested in booking the space for rehearsals or an upcoming performance, contact office@horsetrade.info. Please include: the theater requested, general Dates and times requested, Contact’s phone number and email and Company (if applicable) with the project name. A Booking manager will be in contact once the contract is ready to be signed (performance only) and one-third of space fee is due. No services (ushers, tech, box office) are provided.